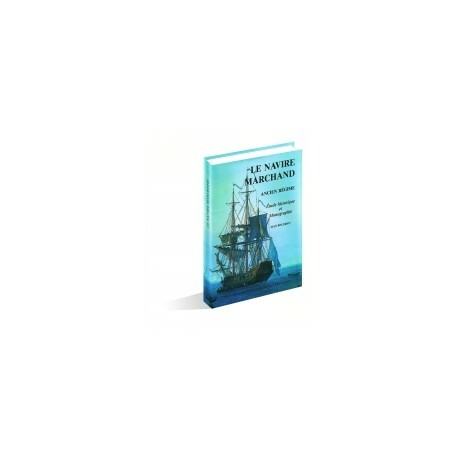 There are few available studies of the French merchant ship in the Ancien Régime. This fact motivated a new awareness of the subject with the publication in 1983 of two volumes on the "Compagnie des Indes", followed in 1984 by a third volume on the slave ship. There was still call, however, for a more general study, since the fleet of the "Compagnie des Indes" had both a military and a mercantile function, and the slave ships exerted a highly particularized activity. Thus we are presenting a more "open" study, as the reader will note after taking a look at the table of contents. The period covered begins in the 16th century and ends in the first quarter of the 19th century, well beyond the end of the Ancien Régime. Two volumes are projected, in order to present the monograph of the sample ship separately, according to the order of presentation of the earlier volume on the "Compagnie des Indes". The first volume is especially important, as it defines the merchant ship, its evolution and variations over a period of approximately two centuries. Twenty five chapters progressively develop the reader's knowledge of the subject. After introducing a theoretical base we shift our attention to practical information and then to the construction of a ship designed for long voyages, the Mercure, whose operations are the theme of the last chapter. 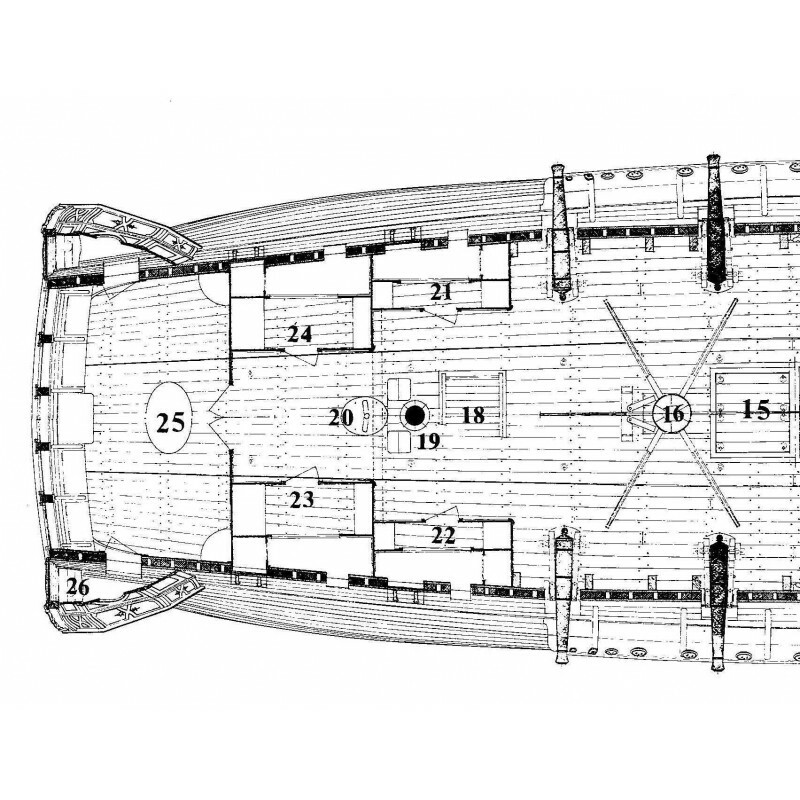 The typology of the commercial ship is the subject of a special chapter. Although it is only in essay form, it necessitated many pages and several illustrations. For the first time this volume offers readers a complete body of knowledge on the merchant ship, a subject which has largely been ignored until now. 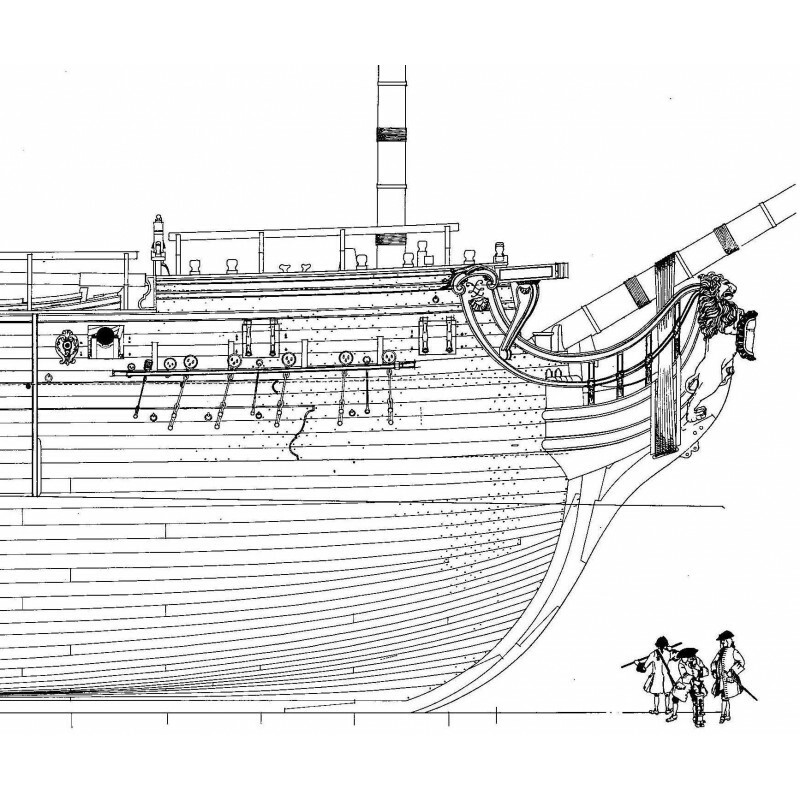 With approximately 220 figures or plates, the volume also required about forty plans at 1:00 scale in order to describe the ship and its evolution. The second volume, in dossier format, contains 30 plates that facilitate the construction of a ship's model, with its timbers, of the "Mercure", a merchant ship of the 1730s. Volume One : 24 x 31 cm format, full blue-grey cloth binding, laminated inside dust jacket representing an 18th-c. commercial ship by J. Vernet. 250 pages with abundant plans, tables, graphics and reproductions of historical iconographical documents. and model of the "Mercure" at 1:48 scale. 30 page companion text, paper cover, square spine. Ship's burden and tonnage, calculation of displacement, weight, sundry notes, expenses. 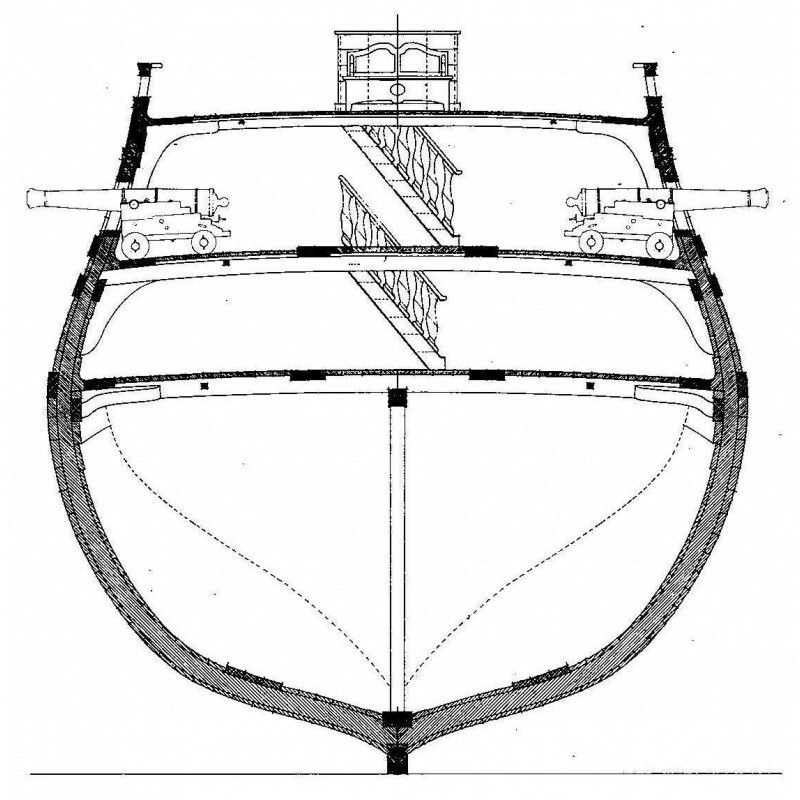 Major proportion of the merchant ship, sundry measurements of accommodations, proportions of building equipment, dimensions of hewn timber, remarks on the frame, proportions of the rigging. Aspects of the merchant ship, its conception, specific study of a sample ship, a note on construction. 17th-c. commercial vessels. Western Mediterranean (barks, pinnaces, vessels). Eastern Mediterranean (tartanes, barks, polaccas). 18th-c. commercial vessels. Western Mediterranean (cutters, coasting luggers, schooners, brigantines, brigs, trysails and three-masters), Eastern Mediterranean (tartanes, pinks). Arrangement of the seaboard, western havens, eastern havens, commercial activity in the ports, western ports, eastern ports, preparation of merchandise, stowing the cargo, loading the Mercure before departure from Bordeaux and upon her return from the islands, remarks on the ship's tonnage, Atlantic routes, some thoughts on the ship's burden. Store and transport ships in the royal fleet. Volume II : Monograph on the Mercure. The textual commentary complements the material in the first volume. Rules of rigging, showing the successive steps in making rigging, illustrated by a suite of drawings. 30 - The Mercure under sail at 1:60 scale.